Have you suffered a traumatic brain injury? 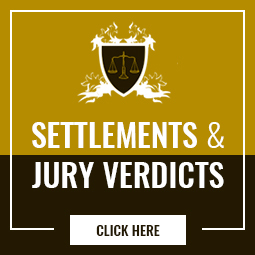 Attorney Vargas will fight for you as your brain injury attorney in Rancho Cucamonga. If you or a loved one has suffered a traumatic brain injury in an accident caused by someone else’s negligence, you deserve compensation, not only for your physical pain, but for how these symptoms have affected your personal and professional relationships and your quality of life. As your brain injury attorney in Rancho Cucamonga, Fernando D. Vargas is here to help you get this compensation. At The Law Offices of Fernando D. Vargas, you can find superior quality representation tailored to the specific type of accident responsible for your brain injury. Attorney Vargas has been handling all kinds of personal injury cases since 1987, so he knows the law and he knows the best strategies for collecting vital evidence, proving liability, and properly quantifying your damages. He will work hard to resolve your case as quickly and advantageously as possible, which typically means negotiating a settlement with the at-fault party’s insurance provider. However, he is also a skilled litigator who can represent you effectively in court as needed. …What If I’ve Been Offered a Settlement? Do I Still Need a Brain Injury Attorney? With a brain injury attorney like Fernando D. Vargas on your side, you will be able to identify lowball offers and avoid unwittingly settling your case for less compensation than you need and deserve. Attorney Vargas will help gather evidence establishing all the ways that your brain injury has affected your life, both short term and long term, and then advise you of the range of compensation that would be appropriate to seek based on the strength of the evidence in your case and other factors. Take the first step to securing the compensation you need and deserve by calling 877-982-0707 for a free initial consultation with Attorney Vargas. If you have valid legal grounds for a claim, you can hire Attorney Vargas immediately at no upfront cost. You will only have to pay for his services after he secures your compensation, so there’s nothing to lose and potentially a lot to gain by hiring Fernando D. Vargas as your brain injury attorney in Rancho Cucamonga.